Modern high current cells with lots of capacity. 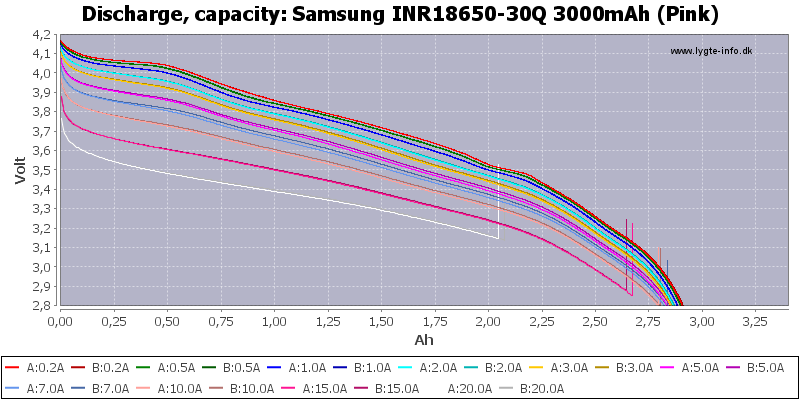 Very good discharge curves, capacity is nearly constant and they track perfectly. 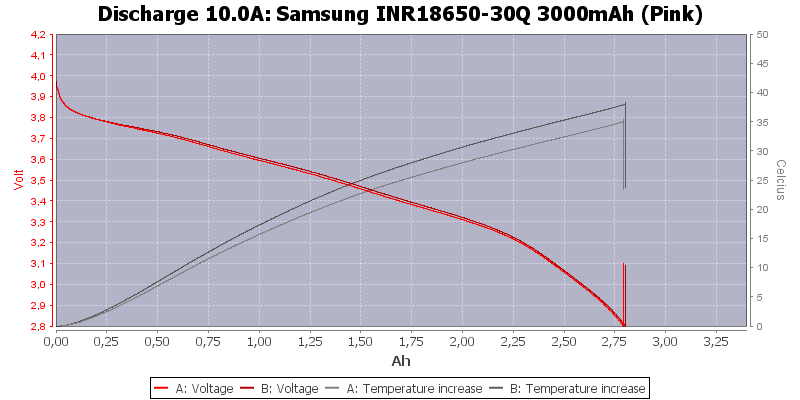 Even the 20A curve maintains a decent voltage, but as can be seen below the cell gets warm. 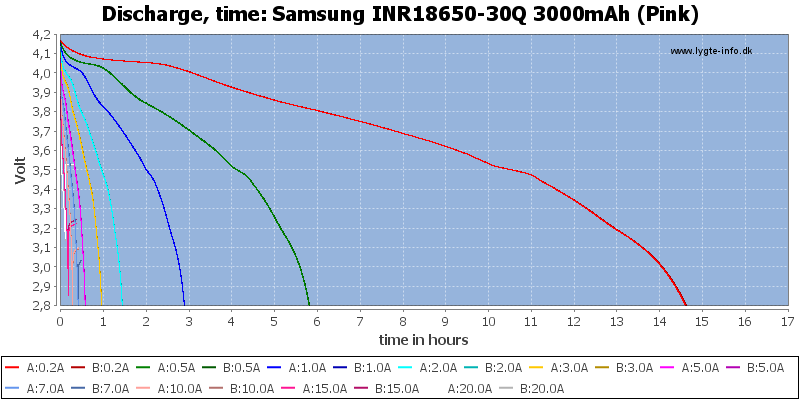 The tail on some curves is because I continue to record after stopping the discharge (If the cell is hot), i.e. 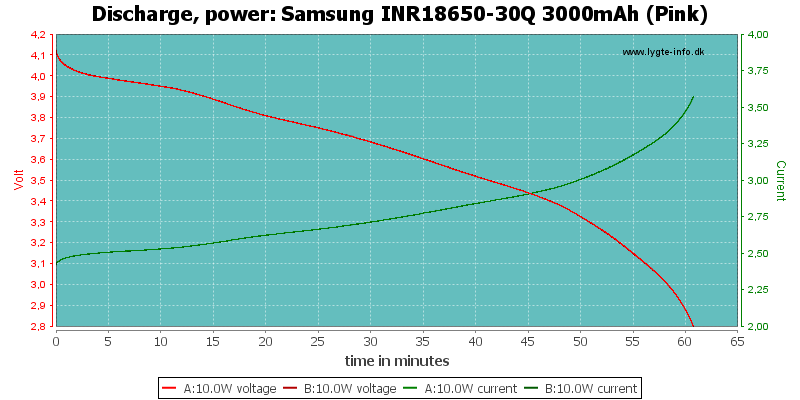 it shows how much the voltage recovers. The cell will heat up at a 10A load, but it is rated for it. 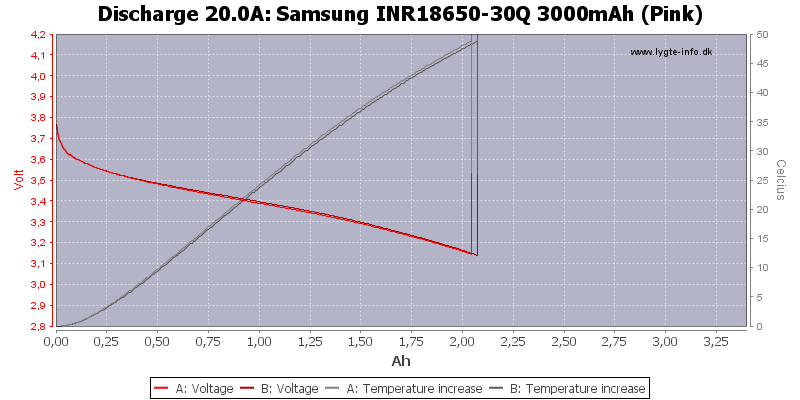 The cell can also handle 20A for some time, but you are supposed to stop when it gets hot (As I do here). 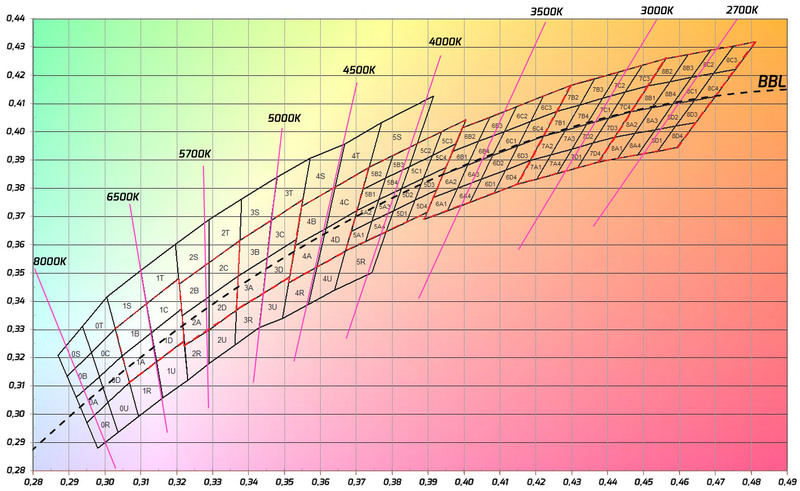 Remember the chart shows above ambient temperature, the actual cell temperature goes above 75°C. 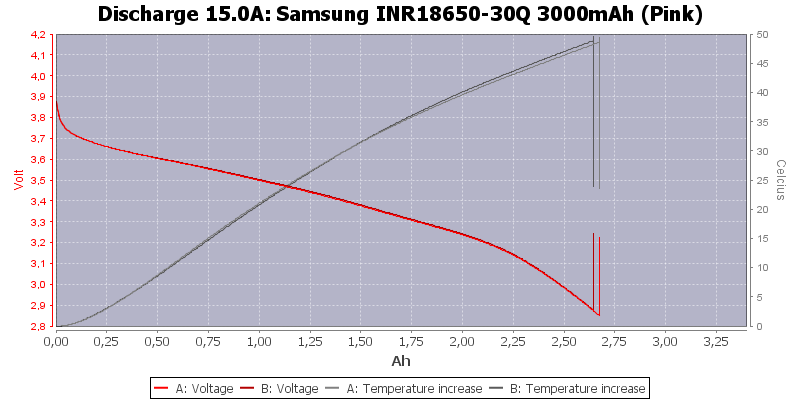 This cell is very good, it can handle about 15A continuous discharge and has no problems with 20A pulses. Yes, excellent review and testing ,thank you very much! What was your discharge cut off voltage ? 2,8V as shown in the Diagramms ? Yes, I have not changed that. Nice to see, thank you! I find this to be one of the best performing cells out there, and the capacity is just a bonus! Always good to get confirmation HKJ style, great to see the charts and get a feel for just what it’s doing. Awesome work, as always, and again, Thank You! Excellent. Now you are just missing to compare it with Sony VTC5A. And also LG MJ1 would be nice. i used 2 of these new and in series in my ec4s. to my surprise, my opus showed that they took a very different amount of charge to refill each one. i see that as very bad. what should i do ? try it again, try 2 more new batteries, or just chop them in half with an axe ? Thank you for the review HKJ. I hope my flat-tops finally are on their way to me (yes, I was NOT on the GB and received button-tops). That said, the light that I have that will draw the most current from a single cell prevails on the LG HE-2. 21.1A is the highest I’ve seen from a single cell in a flashlight, this is in a Titanium X6 Quad 219C. The 30Q and 35A are right up there, but not quite at that level. This is a rare case though, and in virtually every other light I’ve tried em in the 30Q is top dog. If you’re looking at what the numbers are during charging then that’s very misleading. You have to do a discharge test in order to see what the capacities are. Even that is not extremely precise with low price chargers. My hobby charger seems to be 10% lower than my Opus, but which one is closer to being correct is impossible to say. I think what @tarver asking is why his 2 batteries take on different amount of charge after being used in his EC4S. 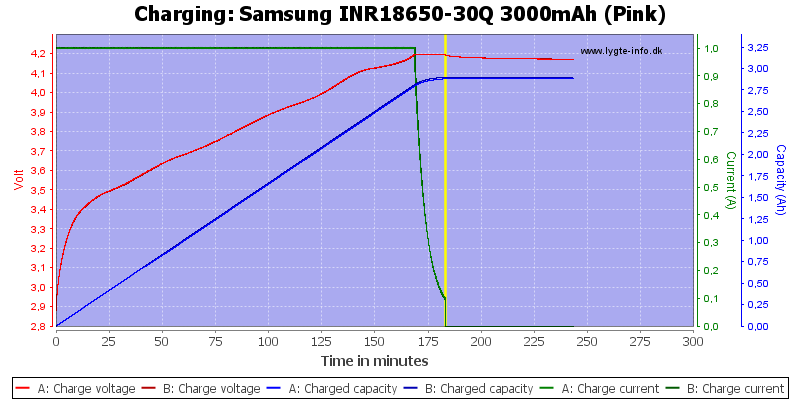 Running a discharge test will shows the capacities of both his batteries, which is another issue whatsoever. 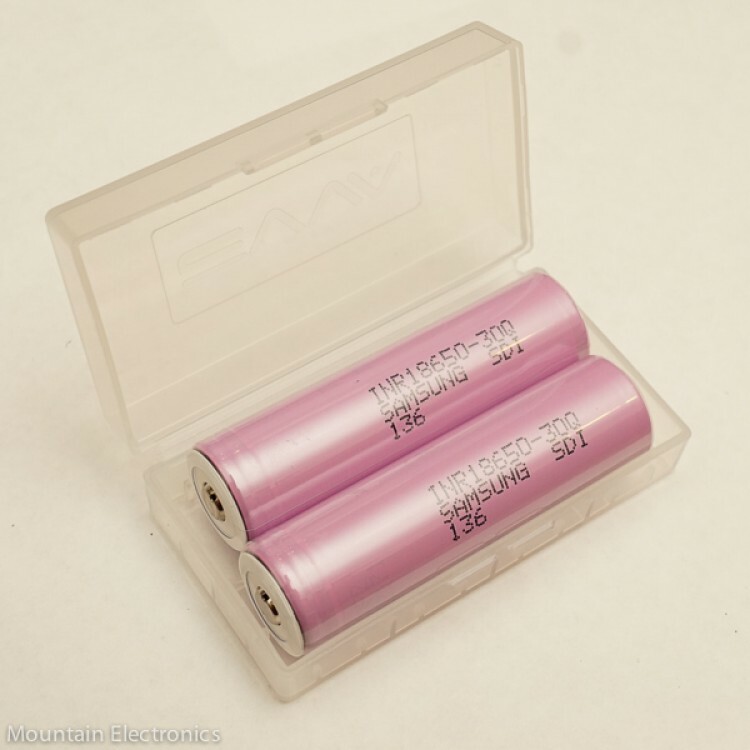 But if he has not done so, it is best for him to do it first so that he can concludes that both batteried that gone into his EC4S has roughly the same capacity. To me, if @tarver try 2 more new batteries in his EC4S and still get different amount of charge to refill, it’s more likely due to his light. Nice one HKJ. This cell is no joke! As I am always testing capacity of my rechargeable batteries, I was not really sure if my measurements were really accurate using my, in comparison to yours, budget equipment. 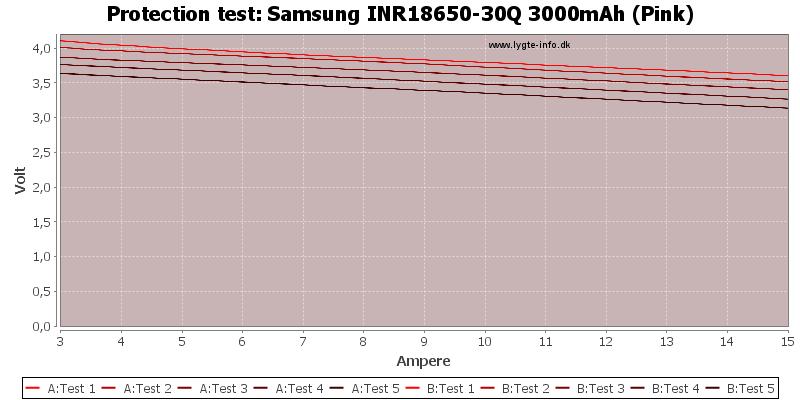 I have got 12pcs of 30Q and I am quite happy to see that my measurements pretty much match with yours (I´m just doing simple capacity testing up to 3A). 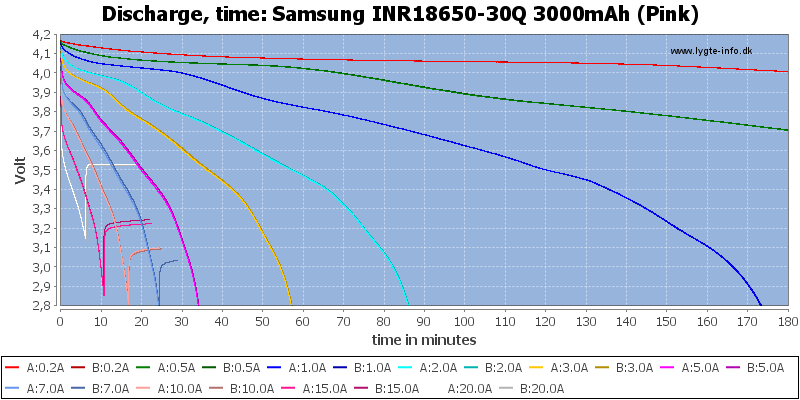 I need a help about INR18650-30Q battery manifacturing date code. 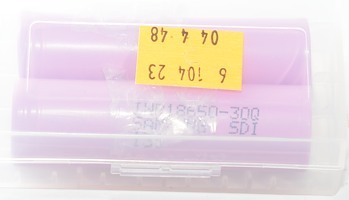 But 18650-30Q element have different Line 3 code. Only three letters. The principle of the code is different. I don’t know whether the item is new or 1-2 years old. 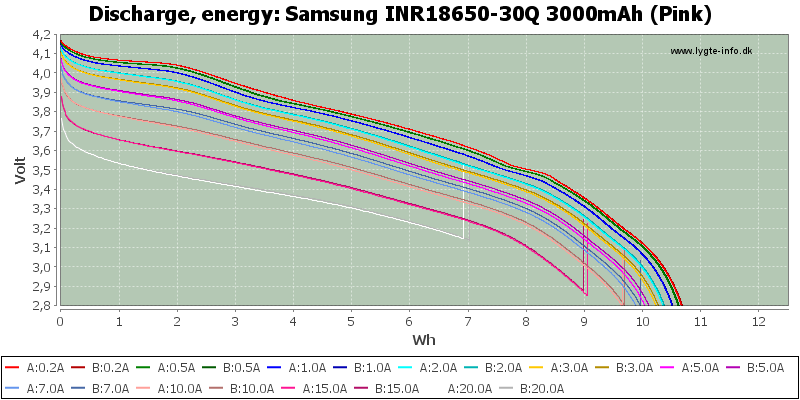 Since the Samsung 30Q is a relatively new offering, it simply cannot be 2 years old. See the 1st line on the can under the wrapper, 3rd digit = year, 4th digit = month. I understood. This is Lot marking. 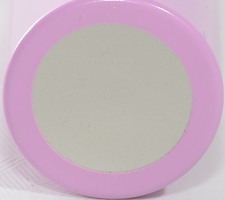 There are three lines on the cell metal can as follows. Is the flattop 30Q a raised flattop that will work in series? No, the top of the pos is actually lower than the plastic wrap and washer. My HG2 are actually higher than the plastic. Thank you VW, I could not tell for sure from the pictures I could find and was wanting to order some. 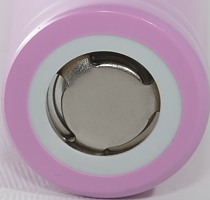 Button top 30Q are available from Gearbest if you need to use these batteries. I used this code last time (not sure where it came from) and may still be valid. 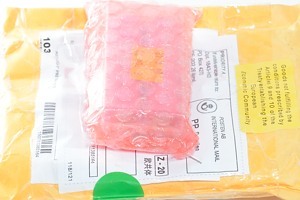 a59300. …. Thanks for the tip VW. This definitely is a very good battery. I studied HKJ comparator for awhile. Only the relatively new VTC6 beats it in all of the voltages. Not by much. The 30Q is ~$4 cheaper,,in that sense it would probably be the best choice. From a visual perspective and a performance perspective, I doubt if there would be any noticeable difference. I have One of these for the last 1.5 years and it is still working well. i have a pair of VTC6,so far they are working well! Is the flattop 30Q a *raised* flattop that will work in series? Thanks for that update VW, I was just about to pull the trigger on some at BangBang… with a code and points. I’ll just get em here in the USA & pay a bit more & have them in a couple of days. Good idea about the saving weight thing ‘Speed4goal’. Are your 30Q’s flattops or button tops like the ones below? ?